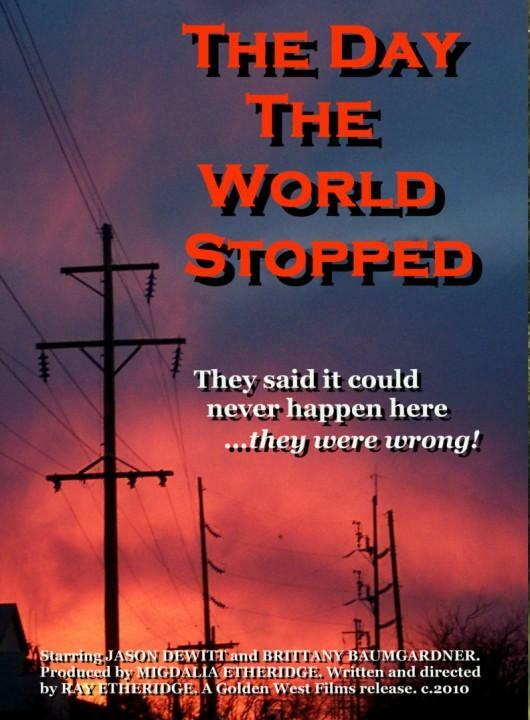 "The Day The World Stopped"
A massive power failure blacks out all of the southeastern states, interrupting communications, and crippling the region's banking system. Suddenly wealth is no longer calculated in dollars and cents, but in how much food and water you have. Copyright 2010-2011, Ray & Migdalia Etheridge/GOLDEN WEST FILMS. All Rights Reserved.